Anjanna’s 8-year-old son, Sagar started bleeding from his gums about 6 months ago. Slowly other symptoms started appearing, patchy skin and rashes, yellowing of eyes and skin, swelling of the stomach etc. His parents took him to the hospital to find out what was happening to him. The doctors ran a lot of tests and diagnosed him with Chronic Liver Disease. 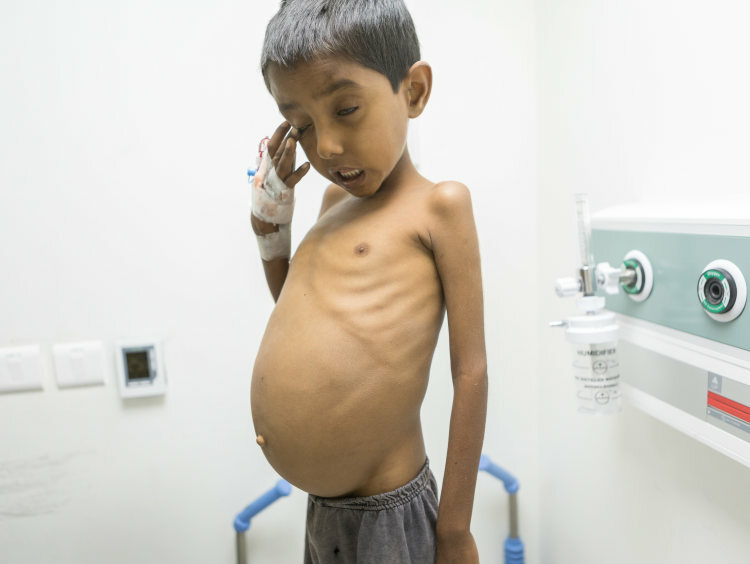 They told him that Sagar would need a transplant to survive. When Anjanna heard the cost of the treatment, he immediately had to back off. 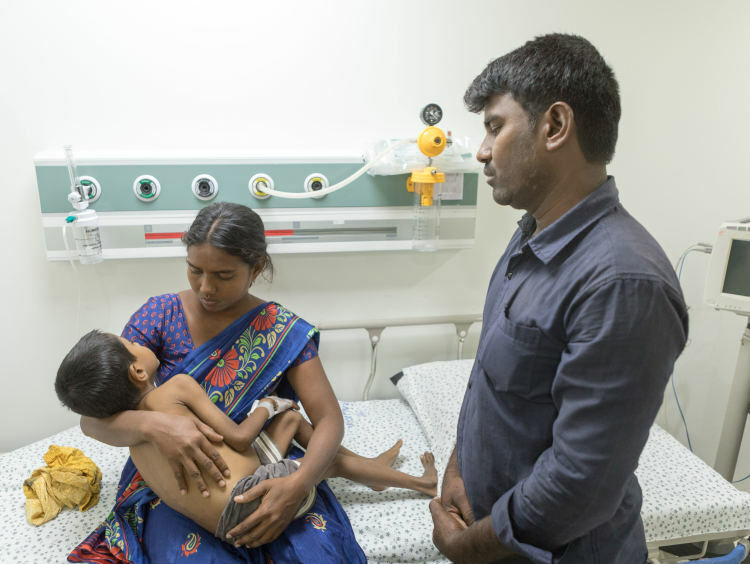 Anjanna’s family has to go hungry half the days, their financial condition wasn’t allowing him to fund his youngest son’s treatment. All he needed was, some time for arranging the money required for the treatment. 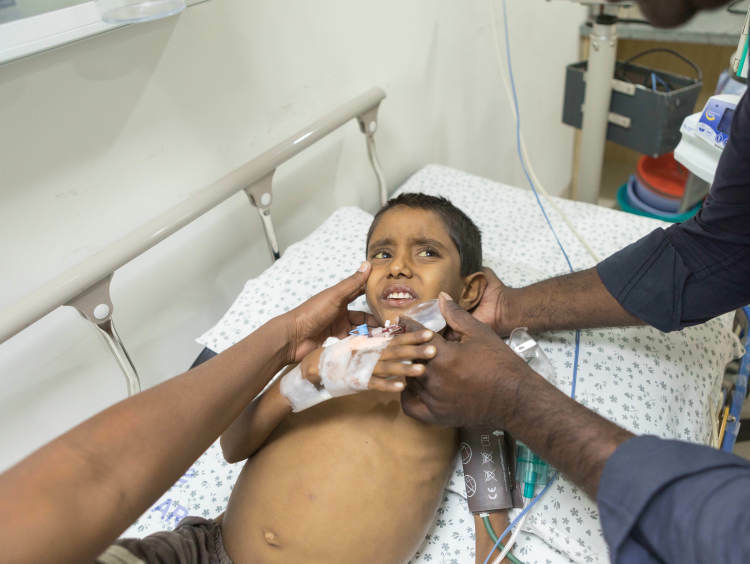 But sadly, Sagar’s disease progressed rapidly, leading to his hospitalisation last week. Sagar’s symptoms started getting worse. His stomach was swollen and rock hard to touch. He had to discontinue school because he barely had the strength to stand up and walk. His skin started getting very itchy and he would be constantly scratching but there was no relief. He lost so much weight that everyone who saw him started saying how he looked like skin and bones, except for his pot belly. When his parents brought him to Rainbow hospital, the doctors told them that Sagar’s liver had completely failed and that he needed a liver transplant very urgently, lest he lose this battle. Hapless, Anjanna had no choice but to admit his son. By this time, he had loaned some money from his friends and acquaintances. All that money got exhausted in the first 2 days of Sagar’s hospital stay, and he is back to the same helpless state he was in, 6 months ago. Sagar’s days are numbered if he doesn’t get the surgery soon. He is a bright child who misses going to school. His brother and sister still go to the Anganwadi school in their small village. Whenever they meet their little brother, they give him updates about his friends and what is happening at school. This cheers Sagar up. Anjanna works as a daily wage laborer, but he doesn’t get work all year round. He only gets seasonal work, and earns only Rs 250 a day. With that irregular and meagre income, he and his wife Anjamma, try their best to make ends meet. But sometimes when there is no money, they go to bed hungry. 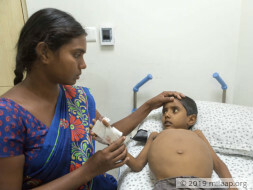 Living in such dismal conditions, they can’t even think of paying for Sagar’s treatment, which will cost them Rs 16 lakhs. Saying no to treatment means losing his son to the fatal disease. His poverty shouldn’t lead to his son succumbing to this bleak condition. 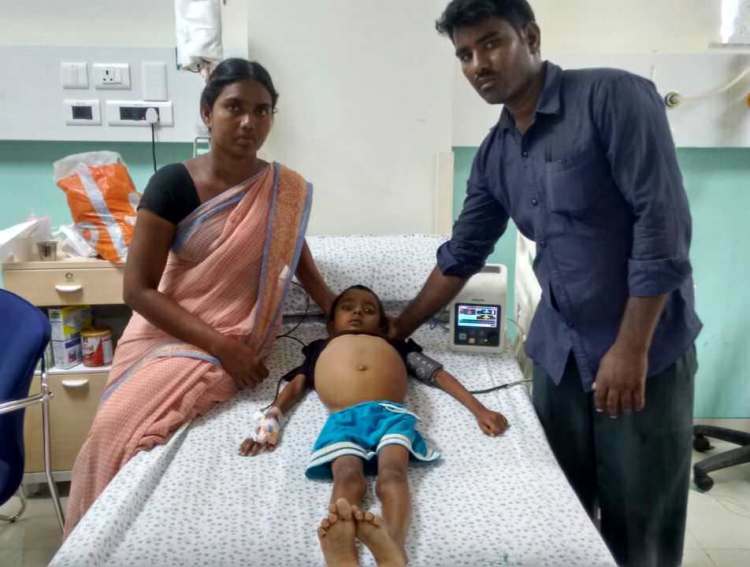 Anjanna desperately needs money to save his little boy and only you can help him now. Your contribution will save Sagar and give him a fair second chance at life. 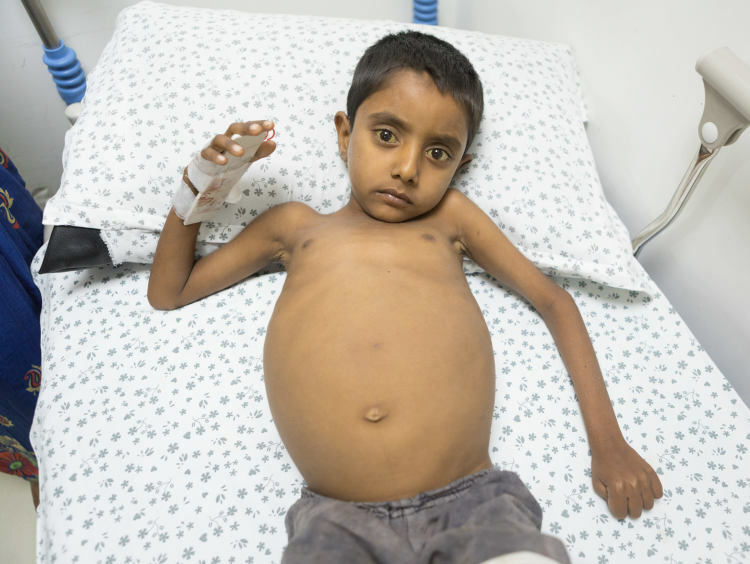 Please help save little Sagar from a this deadly condition. Here is an update for Teku. After the transplant he was discharged and was doing well. However in the last few days he has been admitted in the PICU as he had bleeding in his brain. He is paralyzed on the right side of his body. Please do support and help the child out. Thank you so much for the love and support so far for little Teku. We would like to inform you that Teku has successfully undergone the transplant and both him and his mother are recovering well. He is planned to be discharged tomorrow with regular follow up visits post transplant. We would like to thank each and every one of you for your support as this would not have been possible without you. We will keep you posted on his progress. 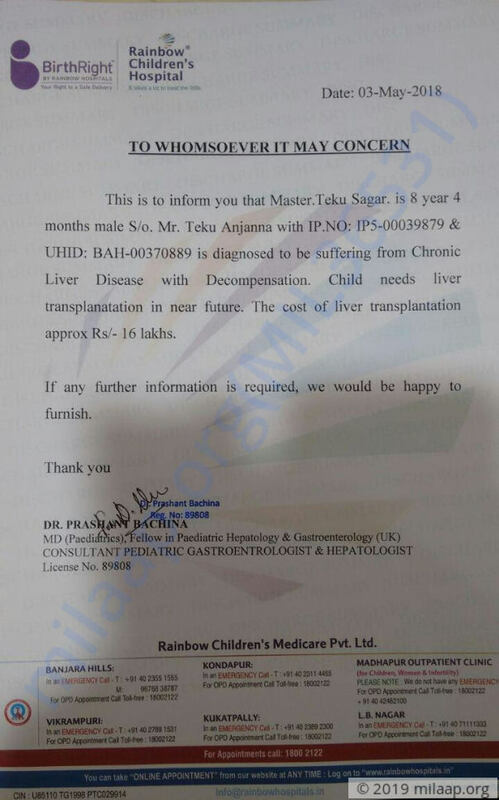 Teku's transplant date has been planned in the coming ten days and his mother has been identified as the donor. We will keep you posted on this further.